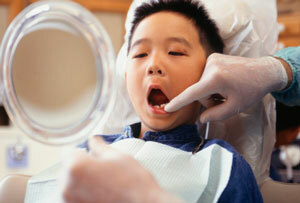 Family dentistry is something that we enjoy, which includes seeing and caring for young children. As your family’s oral health provider, Dr Meng Quah-Shepherd (Dentist) can offer comprehensive dental care for everyone in your household at one central location. Whether you’re bringing your child in for their first check-up or scheduling the entire family on the same day, we’re committed to ensuring a positive and gentle experience for even the youngest of patients! Check-up’s, X-rays and Cleanings— Just like adults, we prefer to see children every six months (starting by age 1) to keep teeth clean and screen for potential concerns before they have a chance to become more complex to treat. Preventative Sealants and Fluoride— Prevent cavities and block out acidic bacteria that often lead to tooth decay. Orthodontic Evaluations— Ongoing assessments of your child’s oral development provide you with a chance to intercept atypical bite patterns at a young age. Restorative Treatments— Early diagnosis of decay allows us to address cavities when they’re smaller, performing less-invasive fillings or crowns as necessary. Athletic Mouthguards— Prevent injuries and concussions with a professionally fitted mouthpiece that safeguards your child’s teeth. Oral Hygiene and Nutritional Counselling— Our team will show your child how to care for their smile in a way that promotes a lifetime of healthy teeth. Did you know your child may be eligible for up to $1000 worth of bulk billed general and restorative dentistry treatments under the Child Dental Benefits Schedule (CDBS)? *Conditions and eligibility applies. Please read through the information on this page or click here for additional details about the CDBS. Dr Meng loves working with children. We would be thrilled to have your family’s smiles grow up with us. Contact our practice today to book your next visit to our office!